KIEV, Ukraine -- Ukraine's prospects of forming a new coalition — vital to get IMF loan talks back on track — were thrown into fresh doubt on Tuesday after Yulia Tymoshenko pressed demands as the price of taking her Fatherland Party into an alliance. Ukrainian legislators attend a parliament session in Kyiv, Ukraine, March 29, 2016. Her remarks dampened expectations of an imminent deal to end months of political infighting that have thwarted Western-backed reform efforts, delaying billions of dollars in foreign loans to prop up the war-torn economy. "If we want to save this parliament... then we have to outline together 10-15 categorical conditions that must be met before the formation of any coalition," Tymoshenko said in parliament. The demands included scrapping a tax on pension payments and rolling back energy price hikes. The latter is a key reform implemented under Ukraine's bailout program from the International Monetary Fund. 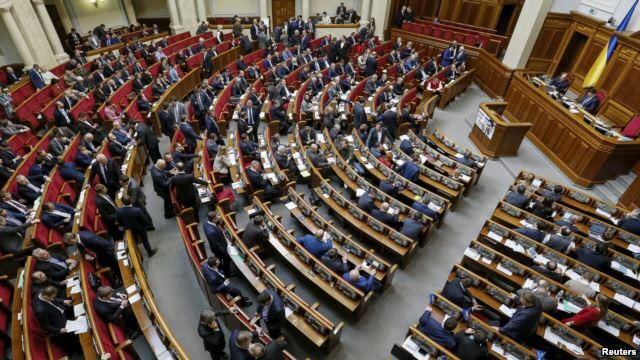 The statement suggested a coalition was far from agreed despite an announcement by Prime Minister Arseniy Yatsenyuk's party on Monday of a new alliance with Fatherland and Ukraine's biggest faction, belonging to President Petro Poroshenko. Tymoshenko's Fatherland is the smallest party in parliament, but support by its 19 lawmakers is enough to give the coalition a majority when added to the 216 MPs from Poroshenko's and Yatsenyuk's factions. Tymoshenko "is demanding a stack of political laws be voted on before joining the coalition. Everyone has to go back to the drawing-board," a source in Poroshenko's faction said. The lack of a stable coalition capable of pushing reforms through parliament has derailed talks for a new $1.7 billion loan from the IMF. The Fund has warned that political paralysis is putting the entire $17.5 billion aid program at risk. Support for Yatsenyuk and his People's Front party has tumbled since he took power after the 2013/2014 Maidan protests. Parliamentary Speaker Volodymyr Groysman, a 38-year-old former mayor and ally of Poroshenko, has been put forward as a replacement prime minister, but Yatsenyuk has refused to step down until a new coalition agreement is signed. Anton Herashchenko, a lawmaker in Yatsenyuk's faction, said the three-party coalition had not been formalized. "We're prepared to back Groysman [for prime minister], prepared to approve the cabinet and the government program. But the snag is there aren't any documents about this coalition yet," he told Reuters. The head of Yatsenyuk's party, Maksym Burbak, said they did not expect any final coalition agreement before next week. Meanwhile parliament approved the resignation of General Prosecutor Viktor Shokin - an ally of Poroshenko. The United States has repeatedly called for top-to-bottom reform of the general prosecutor's office, which anti-graft campaigners have said plays a key role in protecting vested interests and allowing corrupt practices to flourish. While Shokin's departure will be welcomed by U.S. officials during Poroshenko's visit to Washington this week, meetings are likely to be overshadowed by the political crisis in Kiev. 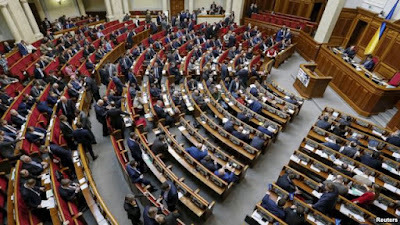 Failure to form a coalition could trigger snap parliamentary elections, but there is no clear deadline as the responsibility for calling the vote lies with Poroshenko. Critics say elections would delay reforms further and boost support for populist parties who oppose the IMF-backed austerity measures.